Strolling around The Gateway mall these days can sometimes feel like walking with the dead of a ghost town, as City Creek Center has pulled many businesses away. 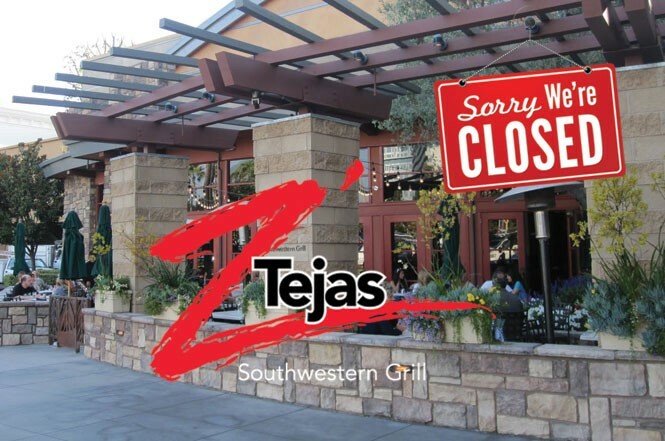 I was a bit sad to learn that Z'Tejas (Ztejas.com) at The Gateway will be closing for good on Aug. 2. I know: We're not supposed to care about the demise of a franchise/chain eatery. But I do, because the people who worked at Z'Tejas were living, breathing, talented human beings, not automatons. I'll also miss the smell of roasting Hatch green chiles in the air during Z'Tejas' annual fall Chile Festival. In Park City, the 42-year-old Eating Establishment (317 Main, 435-649-8284, TheEatingEstablishment.net) is getting a culinary facelift in the form of Ricc Esparza, who joins the team as general manager. If Esparza's name rings a bell, it might be because, like me, you enjoyed delicious meals at his Urban Bistro, which was open in Salt Lake City from 1996 to 2007. I still salivate remembering the scrumptious bresaola there. In addition to his management duties, Esparza will be introducing a new dinner menu at the Eating Establishment, with dishes such as a ceviche of the day, flank steak salad, pasta pomodoro, pork chops with red onion & green apples and others. On Monday, Aug. 4, Boulevard Bistro (1414 S. Foothill Drive, Salt Lake City, BoulevardBistroFoothill.com) will host what looks to be an epic evening: a four-course beer and tequila pairing dinner featuring Epic Beers and Vida Tequila. The menu for the evening will take a south-of-the-border turn with dishes such as nopales salad, traditional flan, stuffed poblano chile relleno and more. The cost is $50 for dinner and pairings. Phone 801-953-1270 for reservations.